Happy Monday everyone! 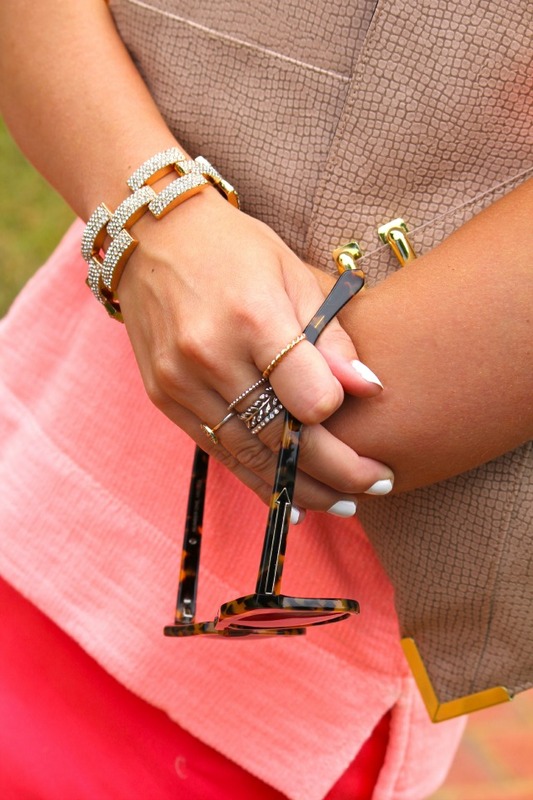 I love mixing pieces that are in the same color scheme and adding a pop of detail, such as leopard. Definitely a comfortable, everyday top that can be worn in a lot of different ways! Coral is one of my favorite colors! It looks beautiful on you! 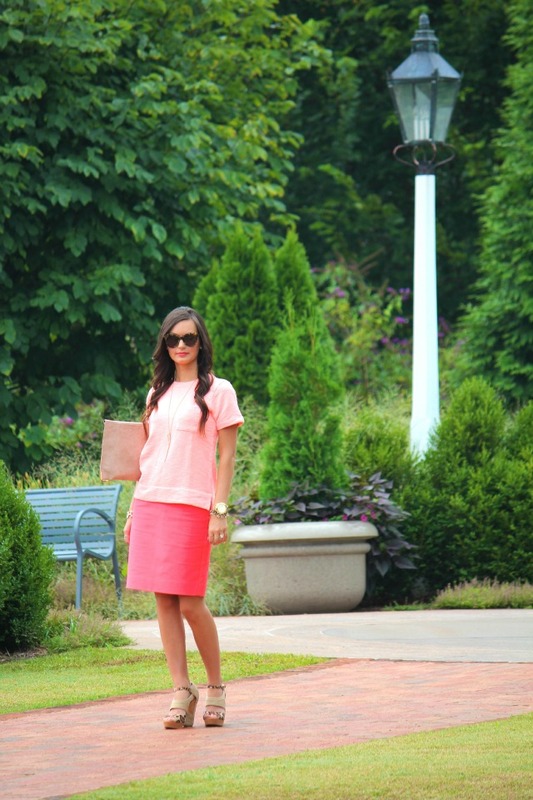 I am obsessed with anything coral and I definitely love this outfit! I love all the pink hues. You look great! I'm a huge fan of monochromatic looks -- love how you've paired it with neutrals! I'm loving that top! It might need to become part of my closet... now! Beautiful color on you and I love the white nails!! In love with this color & the monogram pairing :) You look beautiful! I love the mix of coral shades, very pretty! love the pink on pink in this outfit! p.s. really like the new web layout!